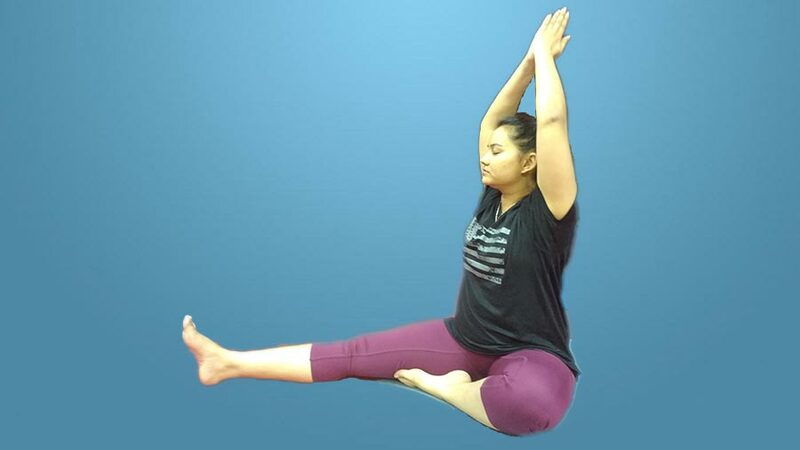 Janu Sirsasana, also called ‘Head to Knee Pose’, is an excellent forward bend asana in which the hamstring muscles, back, thighs, arms, and the shoulders are nicely stretched. It is a seated asana, and it gets its name from the fact that the forehead touches the knee in the final pose. 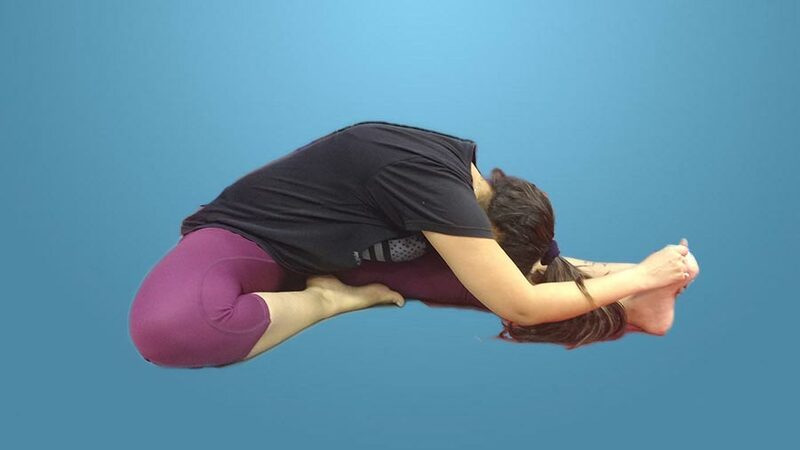 In the final position of this asana, each of the vertebrae is separated, stimulating the nerves, improving circulation around the spine and nourishing the spinal cord. Janu Sirsasana also soothes the mind and calms the heart. Sit on a Yoga Mat with the legs stretched out and the feet together. Bend the left leg from the knee and place the heel of left foot against the perineum and the sole against the inside of the right thigh, keeping the left knee on the floor. Keep the spine in the upright position and back muscles relaxed. Put the hands on the right knee. Breathe in and raise both the arms above head and stretch them up. Turn to the right from the waist and align with the stretched out right leg. Breathe out and bend forward from the hip joint, keeping the spine straight, and grasp the right foot. If possible, hold the big toe with the index finger, middle finger and thumb of the left hand and edge of the foot with the right hand. Put the forehead on the knee, without straining and keeping the back relaxed. Hold the breath if the final position is held for a few seconds. Else for longer durations, breathe normally in the final position. Breaths in and raise the trunk and then the arms above head. Change the sides and repeat by bending the right leg and keeping left leg straight. Practice 2 to 3 rounds with each leg. Janu Sirsasana should be avoided by people suffering from a slipped disc, sciatica or a hernia. Janu Sirsasana calms the mind and helps relieve mild depression. It stretches the spine, shoulders, and hamstring muscles. This Yoga asana massages and stimulates the liver and kidneys. Regular practice of Janu Sirsasana improves digestion. 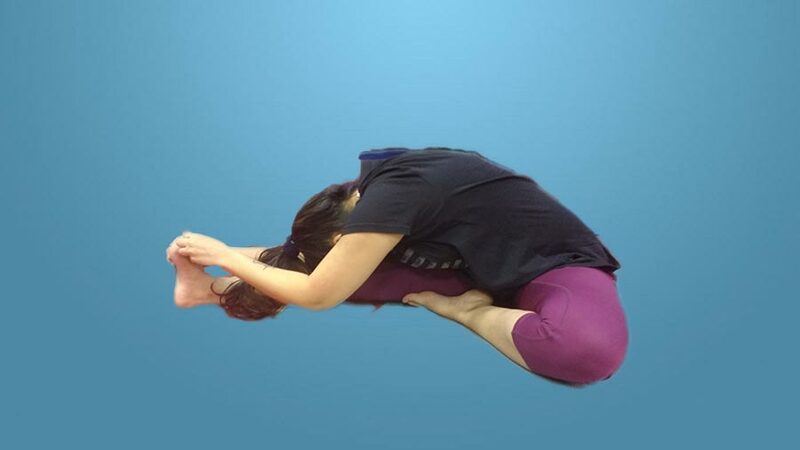 This Head to knee pose relieves anxiety, fatigue, headache, menstrual discomfort. This asana also loosens up the legs in preparation for meditation asanas. It increases the flexibility of hip joints. Janu Sirsasana is also sometimes called Ardha Paschimottanasana. It can be practised before Paschimottanasana as a preparatory pose.